Inside: There will come a time when your children are too old for picture books. Now it’s time to move onto longer books and you are in for a wonderful time. These 5 beloved chapter books are sure to be a hit, because they’re timeless. Do you remember being read to as a child? I had parents and teachers who read to me regularly. What a blessing! I remember listening enthralled as the story slowly unfolded and my imagination took flight. Then there was the agony of having to wait until the next day to find out what happened next. I was introduced to so many wonderful characters through those books- Bilbo Baggins, Gandalf, Puddelglum, Aslan, and Charlotte the Spider to name just a few of my favorites. 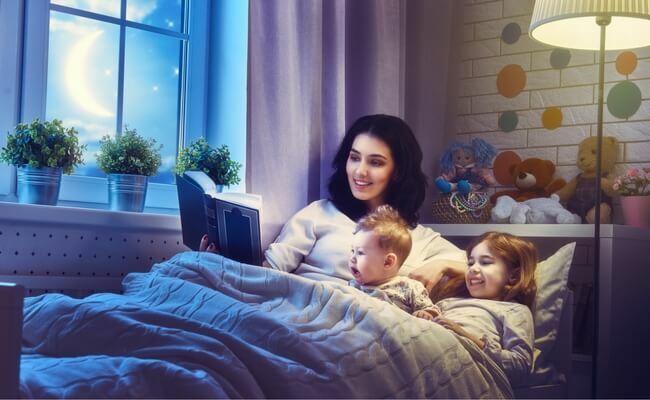 Reading to your children is one of the easiest ways to connect with them. There is something magical about sharing a book together. Still there will come a time when your children are too old for picture books and will be starting to read by themselves. Don’t stop reading aloud to them. It is time to move onto chapter books and you are in for a wonderful time. And the good news is that there are many wonderful books to choose from. Below I have listed five of my favorites. These were books that were read to me when I was a child and I, in turn, read them to my own children. The Hobbit by J.R.R. Tolkien This is the story of Bilbo Baggins who is drawn into an unexpected adventure by Gandalf the wizard and a company of dwarves. Be prepared for orcs, giant spiders, magic rings, elves, gnomes, and all manner of wild adventures. This prequel to the Lord of the Rings is a rollicking adventure that will grip you from the start. Charlotte’s Web by E.B. White “Wilber, I forbid you to faint!” The delightful story of a bashful pig named Wilber and his best friend Charlotte, who lives in the rafters above his pen. Wilber is horrified when he discovers the terrible fate that awaits him once he has fattened up. Determined to save her friend Charlotte comes up with a clever plan to convince the farmer and surrounding community that Wilber should be saved. This is a story of friendship, loyalty, and the wonder to be found in ordinary things. As an added bonus Charlotte will also introduce you to some delicious sounding words. The Lion, the Witch, and the Wardrobe by C. S. Lewis The story of four children who go through a wardrobe and find themselves in the magical world of Narnia. The land is under the spell of an icy witch, who has decreed it should always be winter and never Christmas. A story full of mythical creatures and talking animals, this book progresses at an exciting gallop. You can expect your children to beg for just one more chapter. If possible read the book to your children before they see the movie. Let them picture Narnia in their imagination first. Pippi Longstocking by Astrid Lindgren Tommy and his sister Annika have a new neighbor, and her name is Pippi Longstocking. She lives alone and her father is away traveling as a ship captain on the Seven Seas. She has crazy red pigtails, no adults to tell her what to do, a pet monkey, a horse that lives on the front porch, and a flair for the outrageous. This book will have you laughing and laughing. The Story of Doctor Dollittle by Hugh Lofting A swallow arrives in Puddleby-on-the-Marsh with the terrible news that the monkeys of Africa are very sick. Only the doctor who talks with animals can save them. The good doctor sets off with his animal companions to save the day. These are some of my favorite read aloud stories, but there are many fabulous books out there. What titles would you add to the list? Reading to kids is so fun! My granddaughter is a reading nut! I wish my boys were. She’s not quite bug enough for some of these yet, except Dr. Doolittle, but this is a great list. Thank you! I agree it really is fun. I work in a library and read to the preschoolers every week. It’s great! You will enjoy reading chapter books to your granddaughter when she is a little older. Children just love Dr Seuss don’t they? it sounds as if you have a reading routine in place, so it will be easy to move over to some of these books when the times comes. I have such fond memories of read aloud sessions. My favourite primary school teacher read us Charlotte’s Web and The Lion, Witch and The Wardrobe. So when I became a teacher, I paid it forward. Now the little students I taught are not so little anymore. The other day I met one and she told me that her favourite part of being in my class was listening to the books being read. My heart swelled with pride so much it almost popped! Oh your students are so blessed. My favorite primary school teacher read us The Hobbit. I remember sitting at my desk and chanting “Hobbit, Hobbit” with my classmates. I have no recollection of anything I learned that year, but the memories of that story have remained with me. I can understand why your former student loved listening to the books being read. I would add The Phantom Tollbooth as a great chapter read-aloud book to elementary aged children. It’s one of my favorites. It’s also great for adults as it has lots of life wisdom. I loved those books too. I wasn’t confident enough to wish that I was Pippi, but I thought it would be a lot of fun to have her as a friend! My kids are just starting to get to the age when I can read chapter books to them, just about to start the twitts. I can not wait to start The Hobbit! You are going to have so much fun! The Twitts is a great book to start with. I miss our read aloud times. My daughter is not even 7 yet, but she is a very fluent reader and now she is rarely interested in me reading to her, because I am “too slow”. We did read aloud The Hobbit and Charlotte’s Web before, plus Half Magic and The Penderwicks. Sometimes we still read together for fun, but we are to the next adventure of reading the same books and discussing them. Isn’t it sad when those read aloud sessions end. I really enjoyed Half Magic. Have you introduced your daughter to The Little Princess or The Secret Garden by Frances Hodgson Burnett. They are delightful stories! Oh, you don’t want me to start listing books – I won’t stop! My daughter (6) doesn’t listen to me read much anymore because she wants to read herself. But after school it’s our own “quiet time” (as quiet as it can be while her three younger brothers are in the house!) while we read part of our chapter book. It’s a great bonding time for us and I hope it continues for many years! Anna@The Measured Mom recently posted…Kids in the kitchen: 7 things to learn! I love finding people who enjoy books as much as I do 🙂 I also hope your quiet reading time continues for many years. Books have this amazing power of connection. 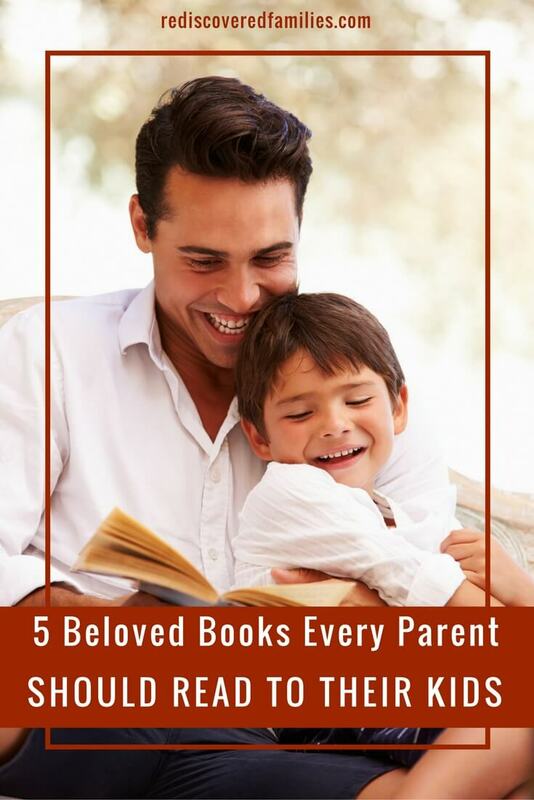 This is an amazing list and thank you for reminding me to keep reading aloud to my oldst son. I totally miss it and love all the books you’ve recommended. I’m so glad you linked up to the After School Linky. I’m featuring this post tomorrow. Stop by to check it out! These are great books, I myself read these already. 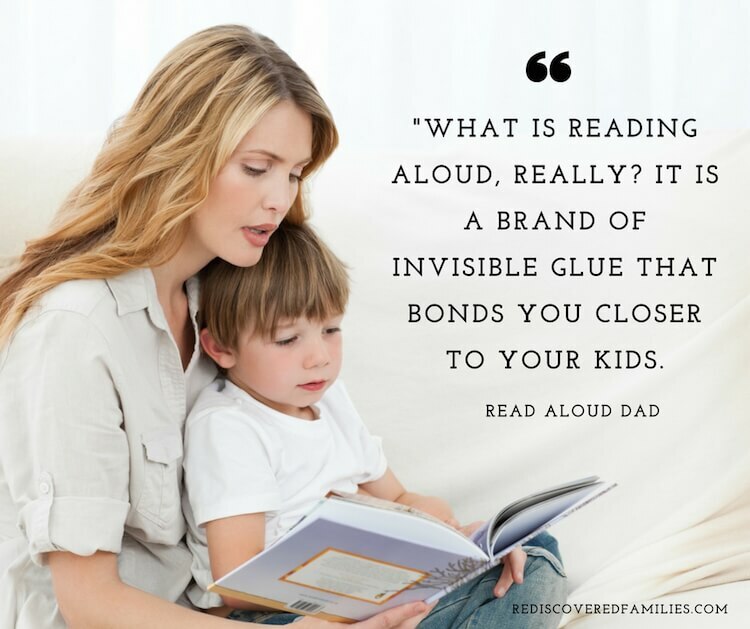 I must agree, reading aloud would help the kids to be familiar with some words that are hard to pronounce. Also, let them use a dictionary while reading in case there are words in the stories that they don’t understand. Good idea Mile- thanks for sharing. Hi just dropping by from the Kidlit Blog Hop. My Mum loved to be read Watership Down as a child and its still one of her favourite books nearly 30 years later. What a fantastic list of books. I have read several of them with my kids after reading them as a child. Thanks for reminding us all about these great reads. Tina at Mommynificent recently posted…Happy Thanksgiving, eh?